The sound and light show tells the visitors the Egyptian history with sound and laser affects on the sphinx and Giza plateau. 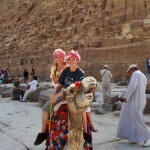 Start your Camel Riding Trip at The Giza Pyramids Area, our Egyptology tour guide will pick you up from your hotel by a modern air conditioned van and start your day by ridding camel for two hours around Giza Pyramids Area such as Cheops, Chephren, Mykerinus. Start your Horse Riding Trip at the Giza Pyramids Area, our Egyptology tour guide will pick you up from your hotel by a modern air conditioned van and start your day by ridding horse for two hours around Giza Pyramids Area such as Cheops, Chephren, Mykerinus. Enjoy your 5 star dinner during listening to the western music and watching the folklore show through the warm air and deep history of this area, comfort back to your hotel. 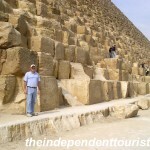 Our professional tour guide will pick you up from your hotel to start your lifetime walking tour in Cairo with a visit to Bab Zwayla which is an ancient gate of Cairo. Outside the gate you can see the mosque of Al-Saleh Talai’e. Start your shopping tour today in old down town markets then move to El Ghorya market, a very typical Egyptian market in the pretty Fatimid Cairo. Walk in the wonderful Gamalia Street, near El Azhar mosque and Khan El Khalili.